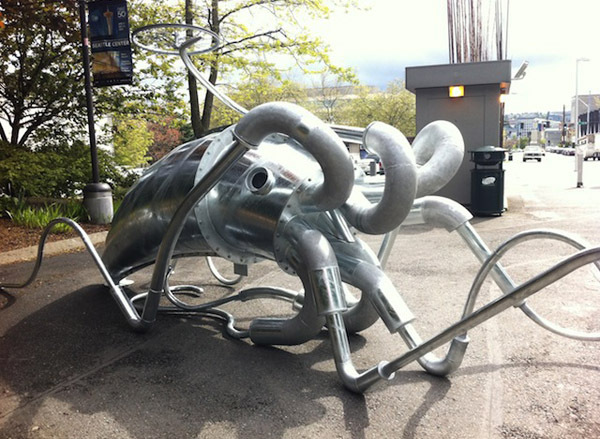 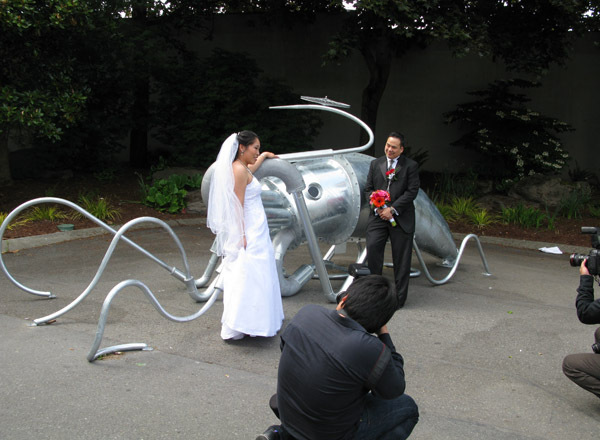 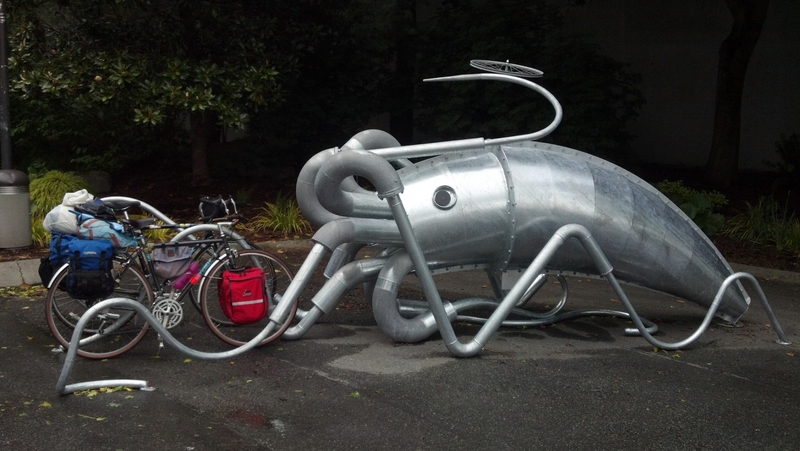 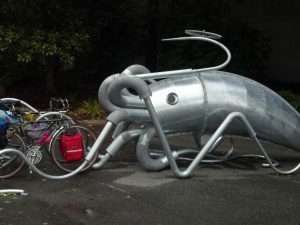 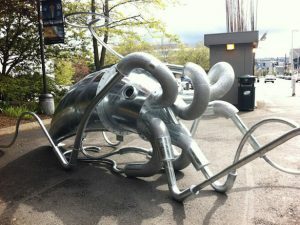 Parking Squid, perhaps a friend to those giant squid lurking in the depths of Puget Sound, was commission by the Seattle Department of Transportation in 2009 and installed in 2012. 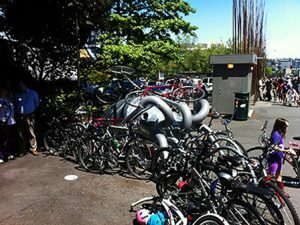 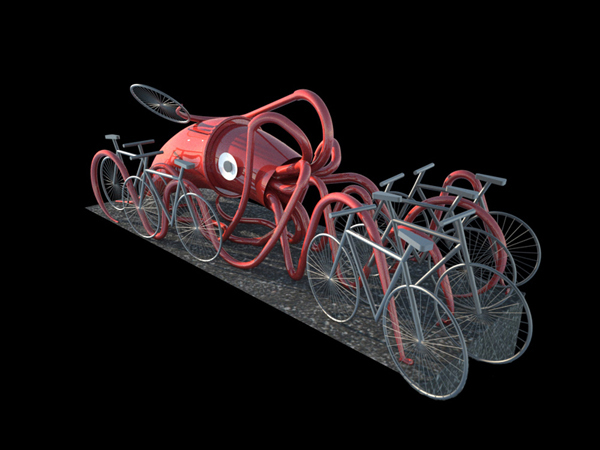 Parking Squid’s raised bike-wheel clutching tentacle beckons cyclists to lock their bikes to her while also creating a new iconic locus for meeting and interaction. 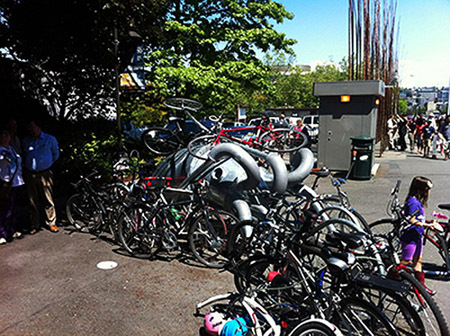 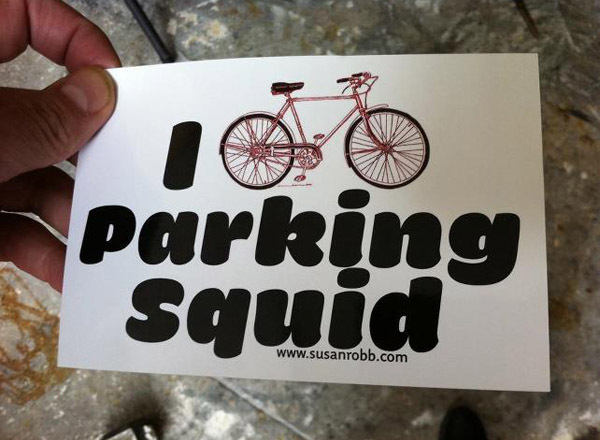 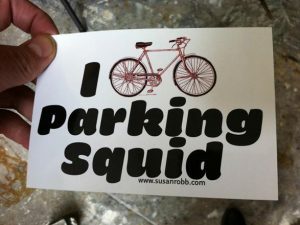 You can currently find Parking Squid lurking at Seattle’s waterfront by the Aquarium on the East side of the street.